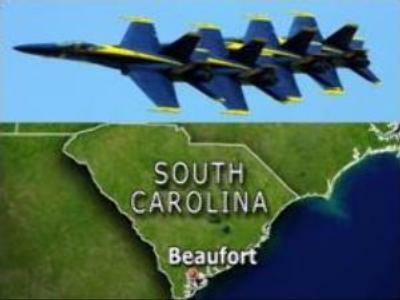 A U.S. Navy Blue Angels’ fighter jet has crashed while performing a manoeuvre at an air show in Beaufort, South Carolina. Witnesses reportedly say one of six jets carrying out a stunt disappeared, as it was in progress. It has been reported that the pilot of the downed plane has died. The Blue Angels is an aerial demonstration team that flies Boeing F-18 Hornets.